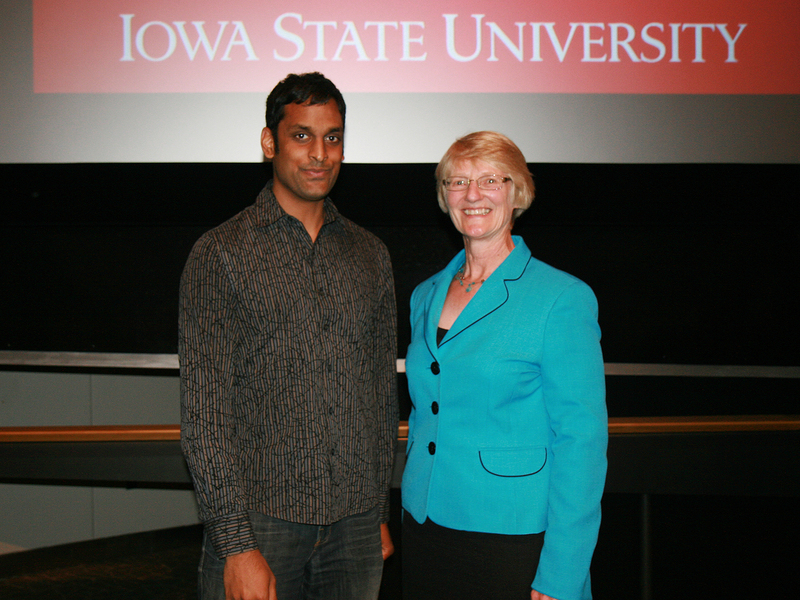 Matthew Panthani, Herbert L. Stiles Fellowship in Chemical Engineering, was recognized at the Fall Convocation ceremony on August 26, 2014. With the 2014-2015 academic year well under way, several newly and reappointed named faculty appointments within Iowa State’s College of Engineering are able to bring creativity and insight to students and research activity thanks to many generous donors. The college believes named positions help retain and recruit great faculty while also inspiring leadership, innovative research and valuable learning opportunities. The College of Engineering has more than 65 named positions currently filled by outstanding faculty. The list below reflects the faculty positions named this fall.